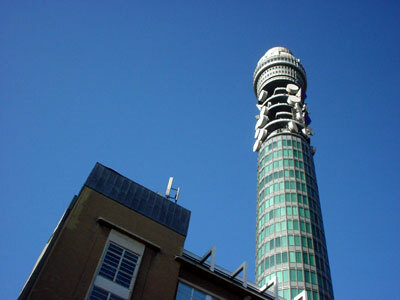 Formerly the Post Office Tower, this 620ft telecom centre was the country's tallest building on opening in Oct 1965. It used to feature a Butlins-leased 34th floor restaurant that revolved through 360º every 25 mins. Sadly, the restaurant closed in 1980 and is now used for business events.